Josefin Glenmark is a topliner, singer and vocal producer who was born and raised in a music family in Sweden - her mother is a singer and entertainer and her father is a songwriter and producer (Ann-Louise Hanson and Bruno Glenmark) . She practically grew up in a studio, always hanging around artists and musicians at her father’s record label and recording studio. At the age of 6, she recorded her first single, a children’s song, and at 13 she was already a touring back-up singer. For 12 years, she lived abroad and most notably sang back-up on Robbie Williams album Escapology, while working as a demo vocalist for the songwriter and producer Guy Chambers. 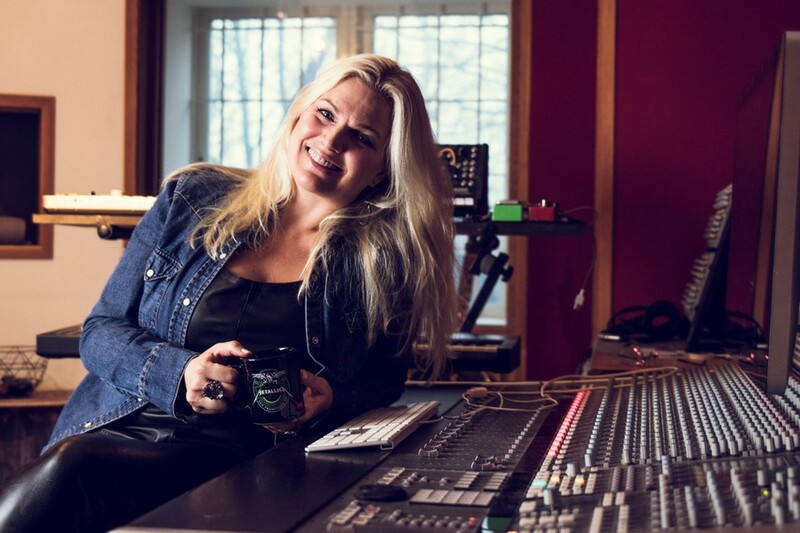 On Guys advice, Josefin returned to Sweden to focus full-time on her songwriting. With her great vocal strength, range and harmony ability, she became a much sought after demo singer for Stockholms many music producers. Today, Josefin and Guy has started to write music together, after their friendship developed in LA almost two decades ago. It was during the period working as a demosinger she met The Kennel’s producer Erik Lewander. The two connected musically and started to write together. A collaboration that resulted in a 2 x Platina - with Peg Parnevik’s debut single and megahit ”Ain’t No Saint” (written together with Peg). The song also got nominated for a Swedish Grammy as ”Best song of the year 2016”. Together the three has written, amongst others, ”Sthlm Nights”, ”We Are - Ziggy and Carola”, ”New York (handles heartbreak better)” and more new collaborations are in the making. Josefin participated as songwriter with two songs in the Swedish Melodifestivalen (Eurovision Contest) 2018. Martin Almgren ”Bitter Lullaby” (final) and Sigrid Bernson ”Patrick Swayze” (2nd chance/semifinal). With a Bachelor of Arts from Emerson College in Videoproduction, a theater education from Lee Strasberg Theater Institute, Music production from Kulturama – this multi-talented woman delivers a comprehensive suite of services to artists, from songwriting to vocal coaching, stage performance and management. Today Josefin is a proud member of the project ”Equalizers” created by Spotify, MXM and Musikförläggarna.